Shanghai is amongst the largest cities of the world. In the article, we acquaint you with numerous fun and interesting facts about Shanghai. Shanghai is a city in East China, situated on the banks of the Yangtze River Delta. One of the most important cities in the country, it is a multi-cultural metropolis with modern as well as traditional features. Shanghai stands bordering Jiangsu and Zhejiang provinces in the west, East China Sea in the east and Hangzhou Bay in the south. There are 16 districts and 3 counties in the city, comprising of 205 towns, 9 townships, 99 sub-district committees, 3,278 neighborhood committees and 2,935 villagers' committees. Shanghai’s potential as a trading destination was discovered by the Europeans. Today it is an important financial center and the busiest container port in the world. Apart from being a major business center, Shanghai is also a popular tourist destination, owing to the presence of numerous museums, towers, gardens and temples, of which the Shanghai Museum of art and history is of prime significance. To know more about the Chinese city, read on. Shanghai is the largest city of the People's Republic of China and the eighth largest city in the world. Shanghai stands divided into 16 districts and 3 counties. Shanghai serves as one of the most important cultural, commercial, financial, industrial and communications centers of China. Shanghai is a municipality of the People's Republic of China that has province-level status. One of the busiest ports in the world, Shanghai became the largest cargo port in the world in 2005. The White Magnolia was adopted as the City Flower of Shanghai, by its municipal people's congress, in 1986. Shanghai is also known as the ‘Paris of the East’ and the ‘Queen of the Orient’. Shanghai serves as the largest base of industrial technology in the People's Republic of China. Most of the areas in Shanghai are flat and belong to the alluvial plain of the Yangtze River delta. The ice-free Huangpu River is the main waterway in Shanghai. The Chongming Island of Shanghai, spread over 1,041 sq km, is the third largest island in China. Central Shanghai stands divided, by Huangpu River, into two areas - Pudong (east of Huangpu River) and Puxi (west of Huangpu River). Before its modernization, Shanghai used to be a fishing settlement called ‘Hudu’, derived from the name of a fish trap, wooden made, used by the residents. The Longhua Temple is the biggest and oldest temple in Shanghai. It has park towards it north, which used to be the ground for murdering and tormenting political activists and leftist writers. Around 20,000 Jews fled to Shanghai to escape the Nazis, in years from 1937 to 1939. Hundreds of residents, who are parents, assemble at a park called the People’s Park, every weekend, with the profiles of their unmarried children in the search of potential matches. ‘Yueja’, is a form of Chinese opera prevalent in Shanghai, where women take over the stage, playing both the female and the male roles. The world-renowned TV Tower in Shanghai is featured many famous films such as ‘Fantastic Four’, ‘Mission Impossible 3’ and ‘Godzilla: Final Wars’. The city has the largest bus system in the world. The Shanghai Magley Train which connects the airport and the city is the fastest train in the world, reaching a maximum speed of 431 kmph. Shanghai is the most expensive city in China. The building of the Shanghai Museum was reconstructed and modeled after a ‘ding’, which means ancient cooking pot. The base of the building is square and its roof is round, suggesting the ancient Chinese proverb ‘Round sky, square Earth’. 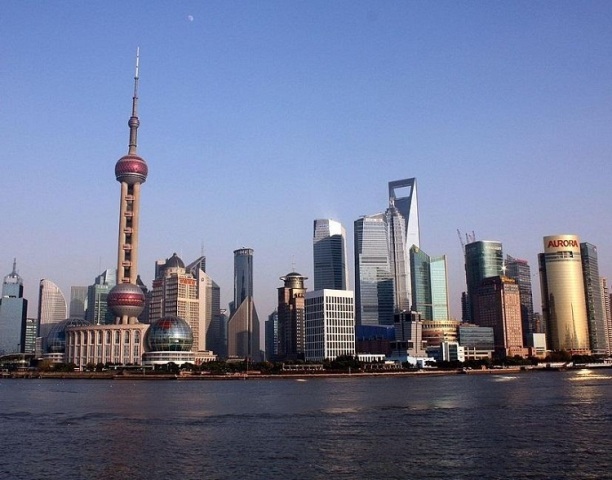 There are more people living in the city of Shanghai than in the whole of New Zealand. The major language spoken in Shanghai is ‘Shanghainese’, which is one if the 248 dialects of China. In addition, Shanghai has many mini-dialects. The oldest mosque in Shanghai was built in 1868 and is called ‘Fuyou Lu’.